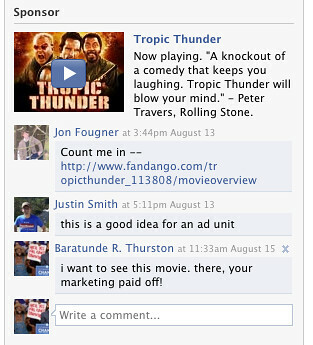 New Facebook Ad Unit Lets You Comment On Video. Pretty Cool. Wait, DId I Just Say Advertising Was Cool? New Facebook Ad Unit Lets You Comment On Video. Pretty Cool. Wait, DId I Just Say A Form Of Advertising Was Cool?, originally uploaded by baratunde. Well it is! Shut Up!